Watch Comes as a Full set with original box, papers, and original band in very nice shape. Case = 26x34mm. 18K White Gold with minor hairline scratching from normal use. No chips or dings. Minor hairline hairline scratches on the caseback. Dial: Perfect ivory dial. Very appealing with a "vintage" look. 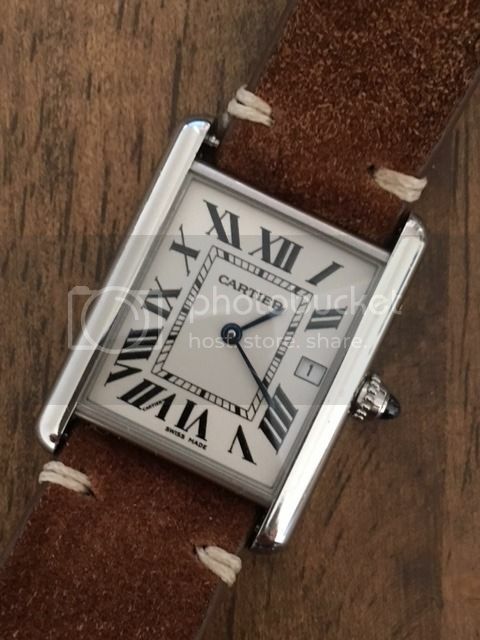 Quartz movement (standard in Cartier Tank Louis) is running as expected. Please reach out to chris@clubpatina.com with any questions.